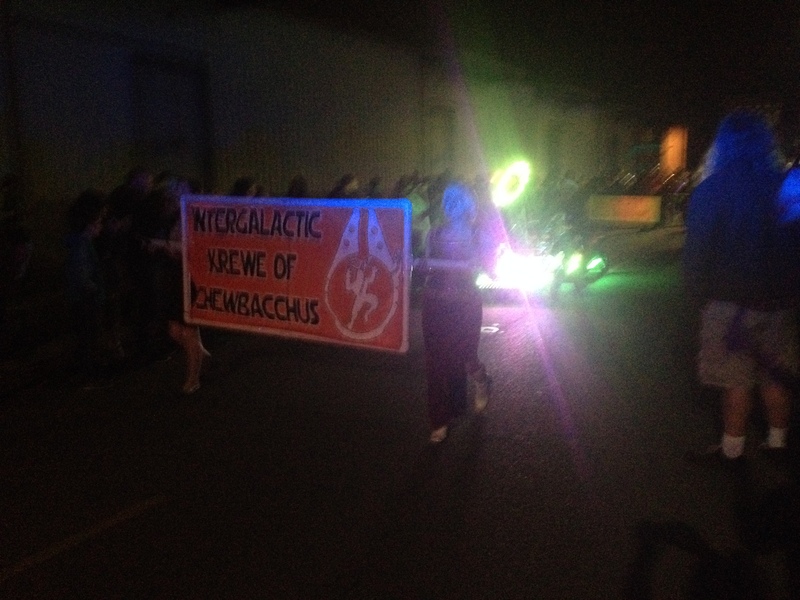 The Intergalactic Krewe of Chewbacchus, AKA Mardi Gras for Geeks! 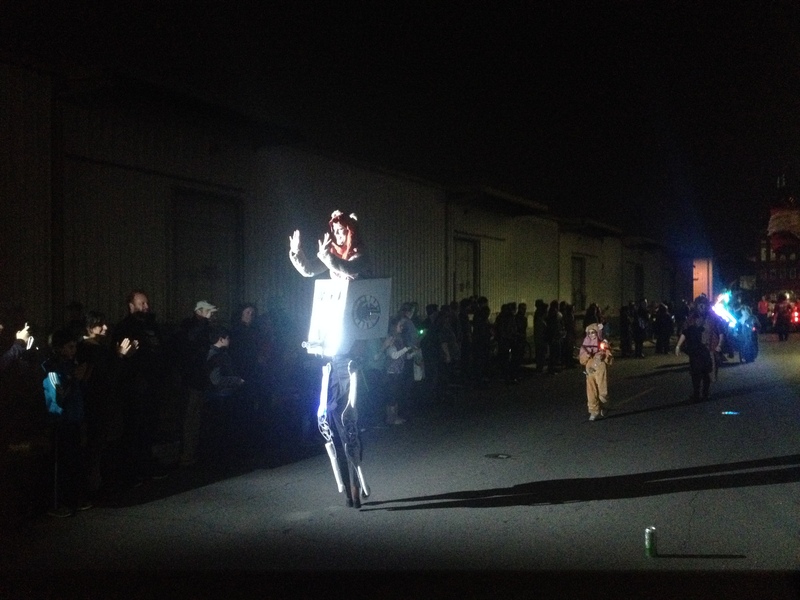 Ever wanted to go to Mardi Gras in New Orleans, but it just wasn’t geeky enough for you? Well, have I got the parade for you! 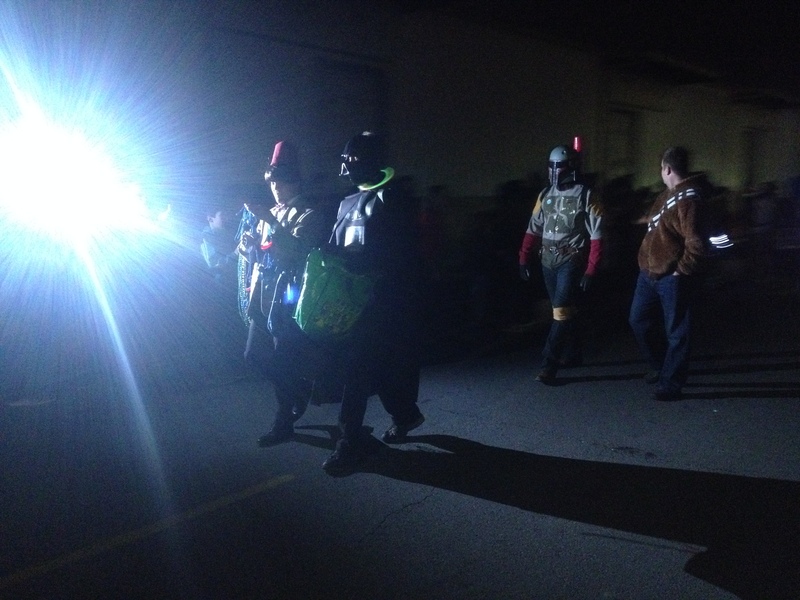 It’s called the Intergalactic Krewe of Chewbacchus, and it’s freaking amazing. First, a little background on Mardi Gras. Each parade is run by a krewe, which is an organization. 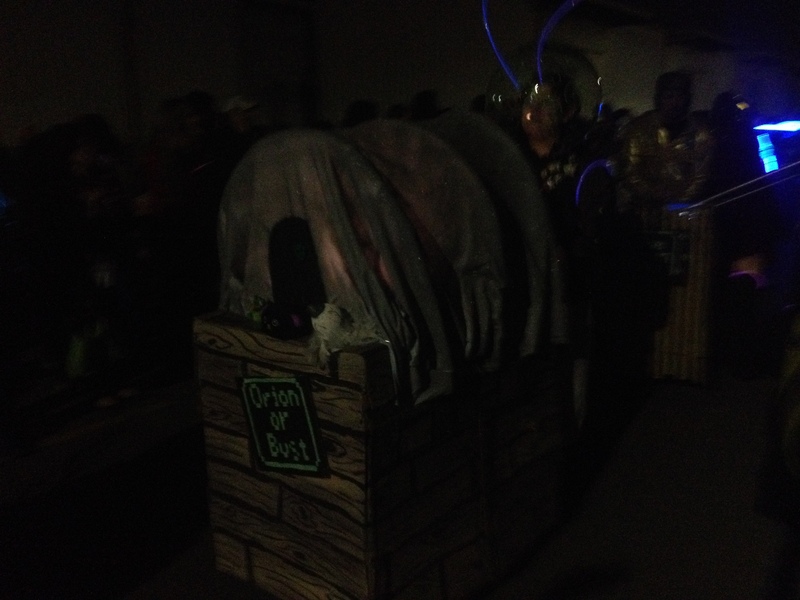 All of the people who ride on the floats pay to be a part of the parade, and they buy all their own throws. One of the major parades is called the Krewe of Bacchus, named after the god of wine and indulgence (perfect for Mardi Gras). So the nerd krewe decided to riff off of the Bacchus name and slam it together with Chewbacca. Perfect. Oh, and also, it’s not like there are just parades on Mardi Gras day. There are parades for weeks before Mardi Gras. Now, onto the most amazing nerdy parade ever. 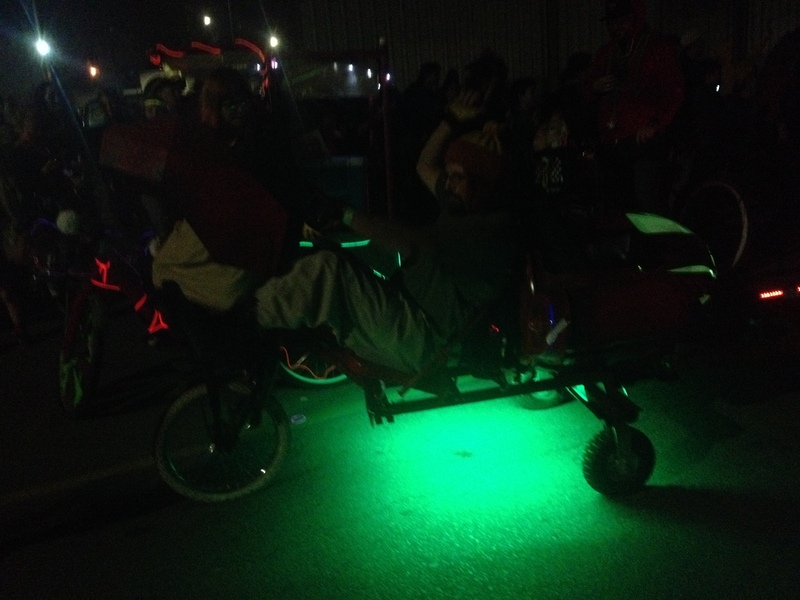 Chewbacchus is a walking/riding parade, meaning there aren’t any big huge floats pulled by tractors. There are a ton of bikes and tricycles and things that a person could easily pull around. For instance, there’s a rolling keg that’s dressed up to be Bar-2-D-2! There are also a lot of people walking in the parade, all in costume, and there are bands and DJs interspersed throughout the parade, because jams are the best. 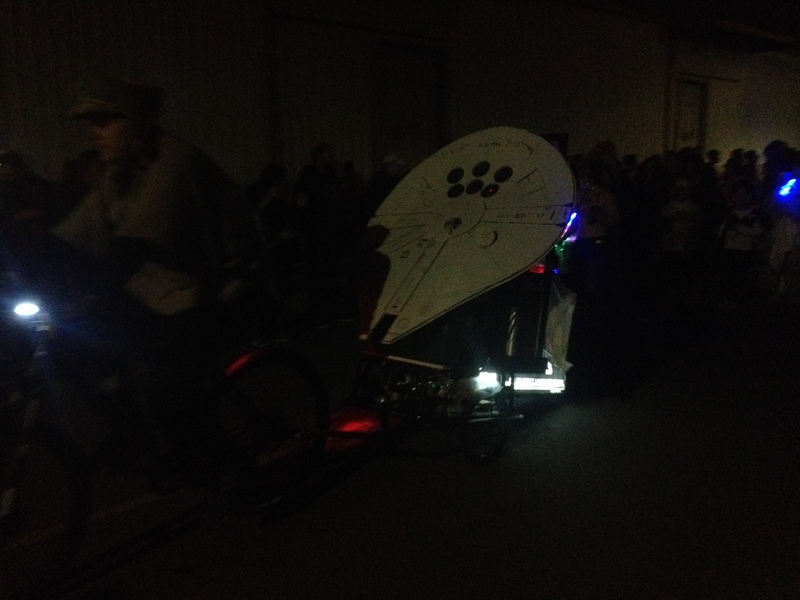 There are a ton of different sub-krewes in the parade, like Laser Cats! Or the Krewe d’Who (Doctor Who-themed), the Ladies of Star Wars, or The Rolling Elliots (based on E.T. – everyone has to have a bike with their own E.T. in a milk crate). Basically, it’s a smorgasbord of all kinds of geeky fandoms, and it’s glorious. There was even an Oregon Trail-themed section! Anyone can join the parade for the extremely low price of $42 a year, and you can make whatever costume or krewe of your own that you’d like. If you can’t tell, that’s a person on stilts dressed up as an AT-ST with an ewok driving it. ADORABLE! Is that Jayne riding a Firefly? I think it is! Hope they don’t get dysentery! Mardi Gras day next year is February 17th, so Chewbacchus should be a few weeks before that. The parade schedules have yet to be set, but once we’re closer, there should be a full schedule up! So, if you don’t feel like the crazy-town time of normal Mardi Gras, come on down and check out nerdy Mardi Gras! It’s an amazingly fun time! The parade lasted about hour this year, and the crowds are much smaller and much less overwhelming than a normal Mardi Gras parade. Hope to see you there next year!